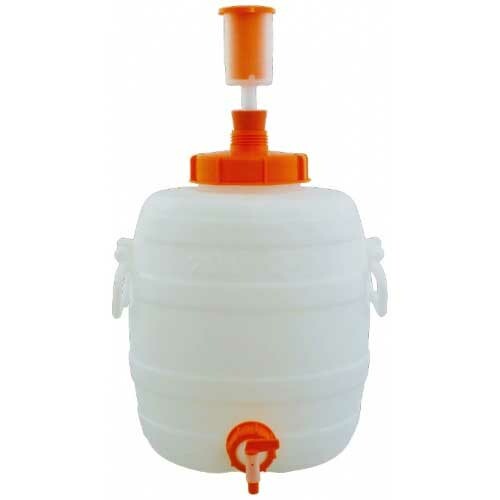 5.3 gallon (20 liter) food grade HDPE plastic fermenter from Speidel. Popular fermentation and storage tank. Manufactured in Germany by Speidel – the makers of legendary commercial wine tanks. Safer than glass carboys, easier to keep clean than plastic carboys, and easier to transfer, too! 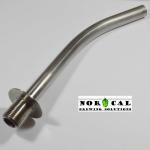 Small footprint makes them easy to store without taking up a lot of room in your brewery or winery. Made out of High Density Polyethylene (HDPE). Extremely durable. THIS ITEM SHIPS FEDEX GROUND TO CONTINENTAL USA ONLY. Please do not order for delivery to AK, HI, or outside USA, as your order will be cancelled.